Antifreeze: It is important to have the correct antifreeze/water mixture to prevent fluid from freezing in your radiator. Consult your vehicle’s owner’s manual for information. Battery: Check your battery. Cold weather is tough on your car’s battery. During cold weather, your engine requires more current from the battery in order to get the engine started. Make sure it’s up to the job. Windshield Wiper Blades: Wiper blades are only good for a year. Replace yours if they look frayed or worn. Windshield Wiper Fluid: Use freeze-resistant wiper fluid to keep your windshield clean and your vision clear. Tires: Check your tires. Low air pressure and worn tires are especially dangerous on wet or slick roads, as both can reduce traction. Check your owner’s manual for the recommended PSI. Oil: Check to make sure your oil levels are full. 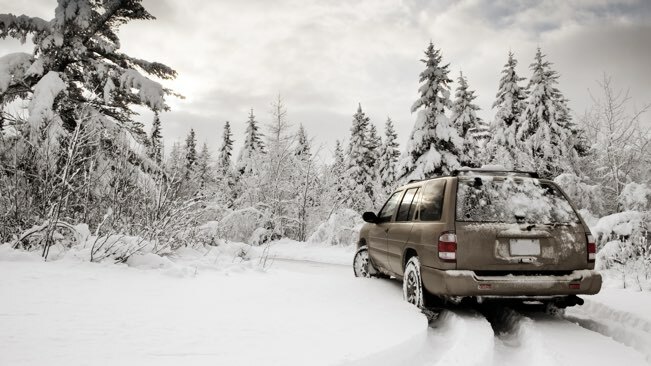 If you don’t have time or you aren’t able to do the maintenance yourself, make sure you take your vehicle to a professional so you are safe on the roads during the winter months. If you want to make an appointment, with United Access, call us at 877-501-8267 or book your service appointment online.